Ben Affleck’s love of Dunkin’ (the establishment formerly known as Dunkin’ Donuts) has officially reached new heights, and they’re pretty darn funny! On Saturday, April 13, a Twitter user named Amelia Wedemeyer, who goes by the handle @ameliadeew, kicked off an LOL-worthy (and seemingly random) thread in which she reimagined the Academy Award-winning actor as a series of beverages sold by the Massachusetts-based chain. 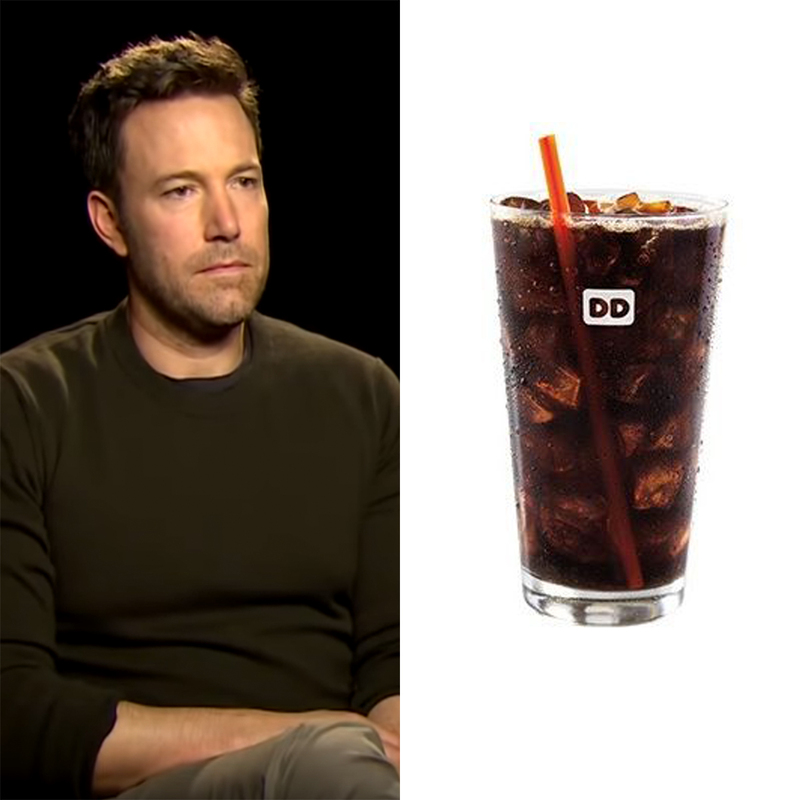 Wedemeyer, who is a Los Angeles-based writer and social media assistant at The Ringer, created her beverage-centered masterpiece by placing photos of Affleck dressed as some of his iconic movie characters alongside snapshots of Dunkin’ drinks. 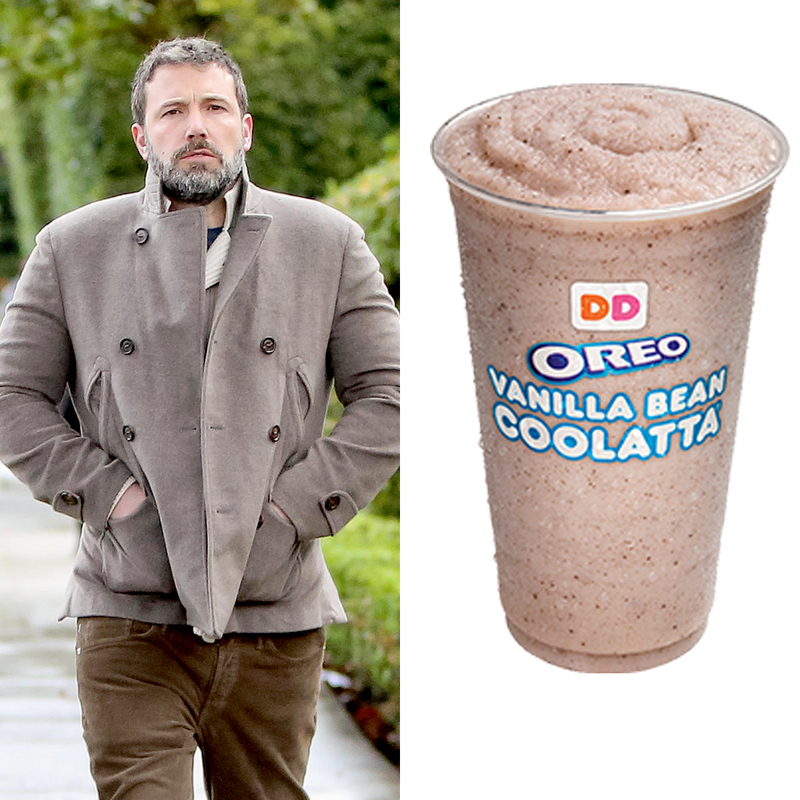 “Ben Affleck as beverages from Dunkin Donuts,” she tweeted with a split photo of the 46-year-old dressed in a large white suit and a similar-looking Vanilla Bean Coolatta. And that was only the beginning. Two photos from the father of three’s role in Live by Night followed, and deftly compared a pair of tan outfits to a Frozen Dunkaccino and iced coffee, respectively. The screenwriter’s memorable role in Armageddon was also given the Dunkin’ treatment. For that 1998 classic, Wedemeyer used a photo of Affleck’s character, A.J. Frost, in his bright orange space suit, and juxtaposed it with a photo of an iced tea, which is characterized by a similarly vibrant hue. For Wedemeyer, red carpet shots of Affleck as well as candid paparazzi pictures of him were also fair game. 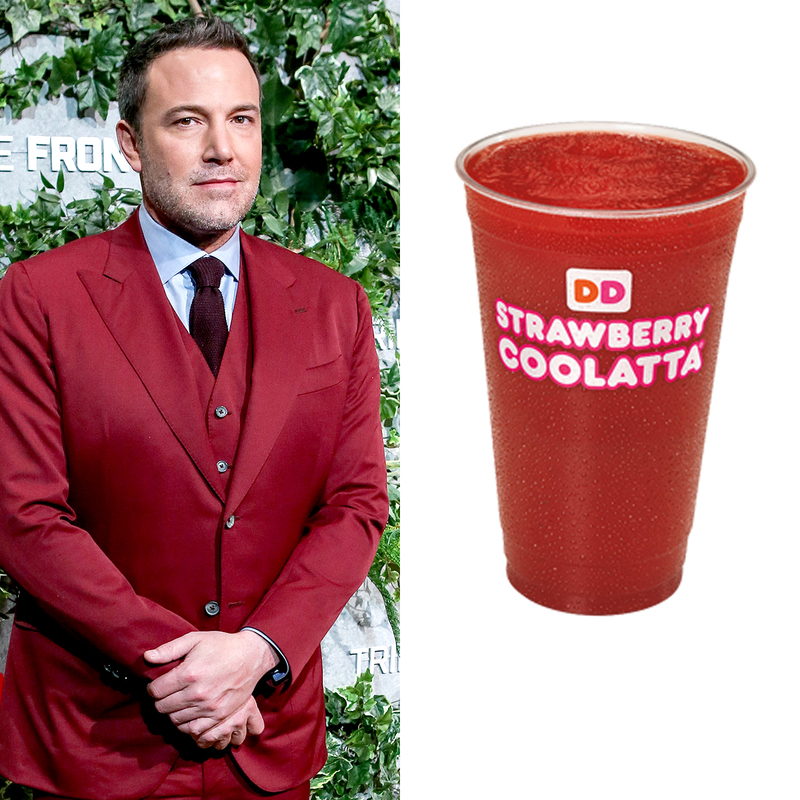 For example, she compared a Dunkin’ Strawberry Coolatta to a photo of the Project Greenlight producer rocking a berry-red suit at the premiere of Triple Frontier. She also likened a snapshot of a tattooed Affleck at the beach to a pair of multi-colored Dunkin’ Slushies and a colorful doughnut.